As an early childhood professional, I believe everything toddlers do is explorational, and due to a complete lack of impulse control. They are also testing limits to make sure we will hold firm. They may understand a limit and still go against it to test not only if we’ll remain firm, but also to exercise their newfound autonomy. Sure, they get into mischief and I suppose you can call it “misbehaving,” but toddlers do not do anything out of malice. They don’t plan stuff out even if sometimes it may feel like they do. Toddlers lack vocabulary so they act out to express their needs. I wouldn’t call this misbehaving. Either way though, this is developmentally appropriate for toddlers. They need to be taught and guided through this developmental stage rather than punished. Some ways of disciplining toddlers would be to validate their feelings and provide appropriate ways of expressing their feelings through punching a pillow, biting a teething ring, or doing an angry dance. Anything to redirect aggression to appropriate outlets while giving them the language to express their anger. It’s also important to model appropriate behavior to children. 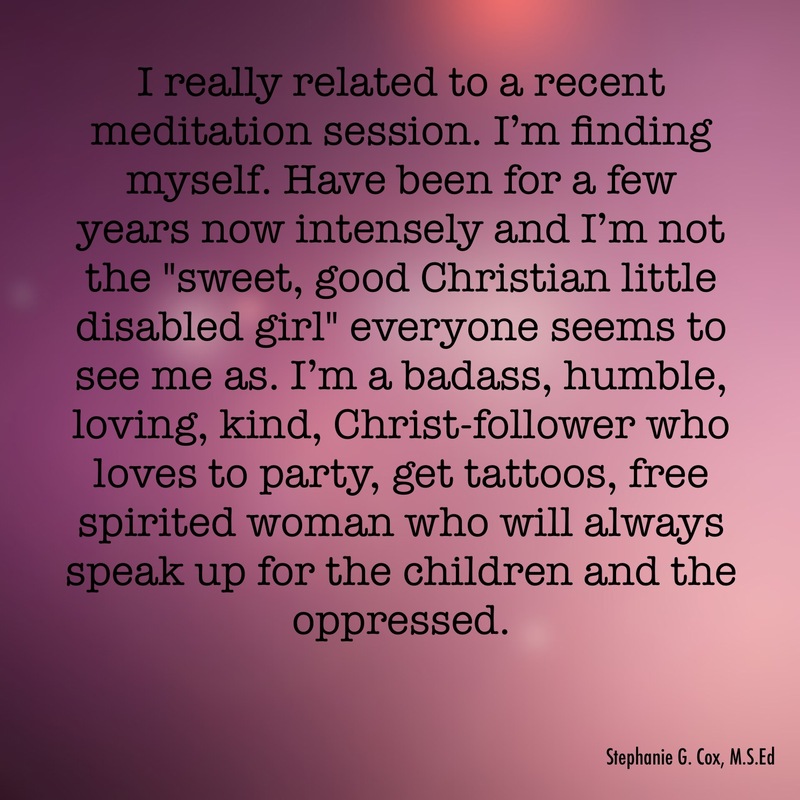 They are constantly watching and imitating us. We also need to provide realistic limits. When it comes to setting limits and boundaries for young children, there are three basic rules on which all boundaries and limits should be based. The first rule is respect for others. The second rule is respect for ourselves. The third rule is respect for property. And if we think about it, these three rules encompass much of what Christ said in His Sermon on the Mount. 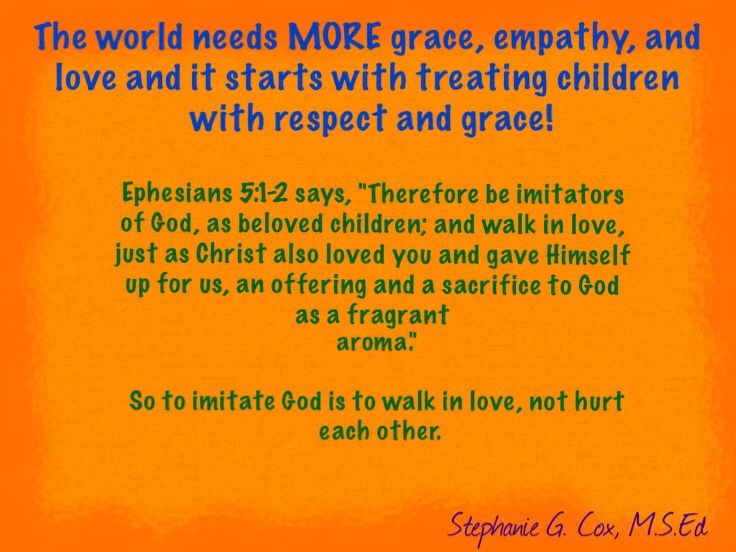 If you wish to add a fourth basic rule, we could say reverence of God. 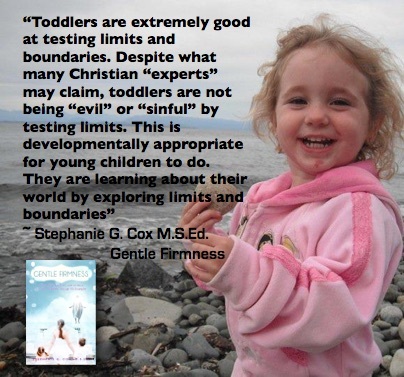 The reason why we should only have three or four basic rules on which to base limits and boundaries is that giving children too many rules to follow, especially at a young age, will only frustrate and overwhelm them. And always use natural and logical consequences with them. Even time-out is a punishment and should not be used. I will write a post about time-in in the future. Toddlers need plenty of room to play and explore. By respecting them, “misbehavior” can be kept to a minimum because we are meeting their needs, and are recognizing that there is usually an unmet need behind most unwanted behaviors. Many people mistake punishments with consequences. Disciplinary consequences are either natural or logical. They relate directly to the child’s behavior and help the child learn. Pain may be a by-product of the disciplinary consequence. Punishment, on the other hand, is arbitrary, inflicts pain on the child, is not related to the child’s behavior, and do not help the child. 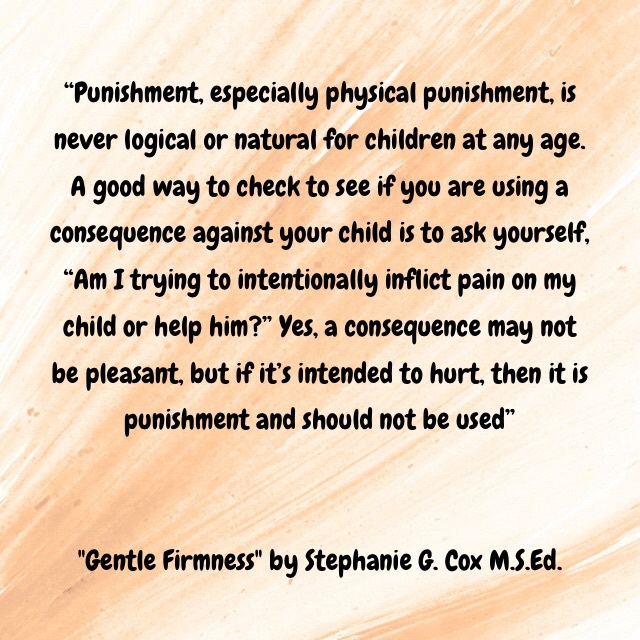 In other words, punishment intentionally inflicts pain on children whereas disciplinary consequences never intentionally inflicts pain on children. Common sense must come in here. If the natural consequence will injure the child, don’t allow it to happen. When I say that pain may be a by-product of a disciplinary consequence, I mean, for example, a child not being able to find his/her favorite toy because he/she didn’t clean up and now can’t find it is a disciplinary consequence. Another example of a disciplinary consequence is the child not putting his/her bike away in the garage and the rain causes the bike to rust. Or, the child missing a fun outing because he/she wouldn’t get dressed in time to go. None of these are punitive, but the child will be sad. A natural consequence happens naturally. Children refusing to wear a coat outside will get cold. Hitting a friend makes the friend cry and not want to play anymore. We don’t need to impose any other consequence or punishment on children. They will learn from the natural consequence especially if we are there to talk to them about what happened. 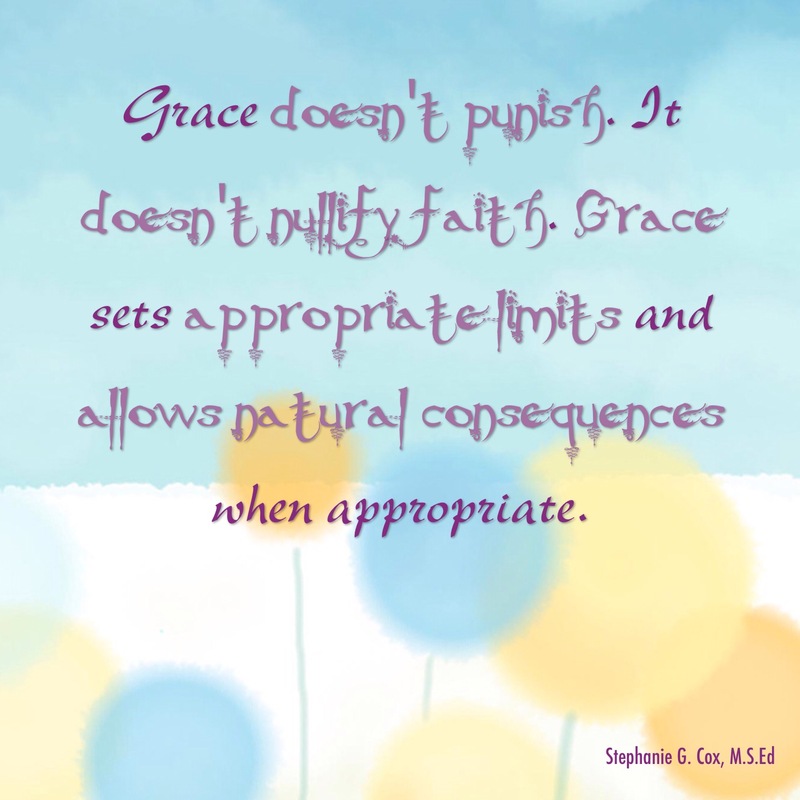 God allows us to deal with the natural consequences of our actions. A logical consequence is imposed by us, but it still directly relates to the child’s behavior. For example, if the child refuses to turn off the TV to do his or her homework, he or she won’t finish his or her homework on time and will get a lower grade. And since TV is interfering with homework, he or she may not be able to watch as much TV for a while. If a child lies about where he or she went with his or her friends, then he or she won’t be able to go out with friends alone until he or she wins back our trust. One thing I must caution with using logical consequences with children is that it is very easy to use them to punish children. Again, the idea behind logical consequences is not to punish our children. They are to continue helping our children take responsibility for their actions, to help produce godly sorrow in them instead of worldly sorrow. Godly sorrow makes the child truly want to repent and make things right. Natural and logical consequences may hurt, but not because someone is inflicting pain on us. They hurt because we realize our actions caused the consequences. 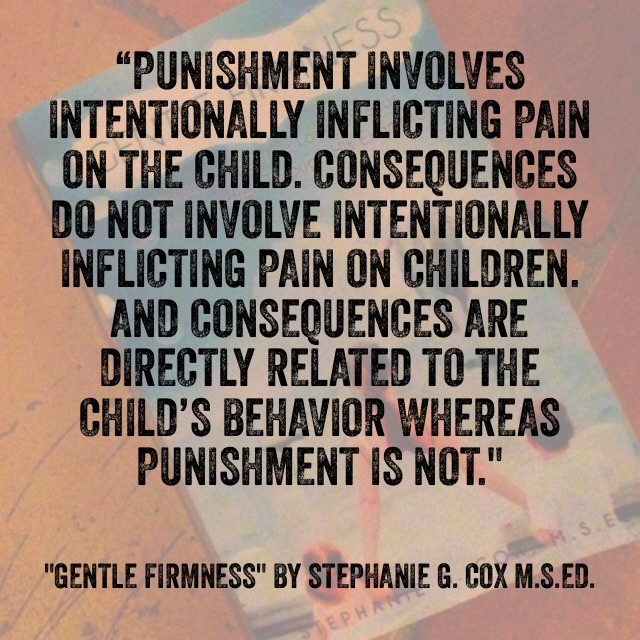 This is why natural and logical consequences work best for children rather than inflicting pain on them. 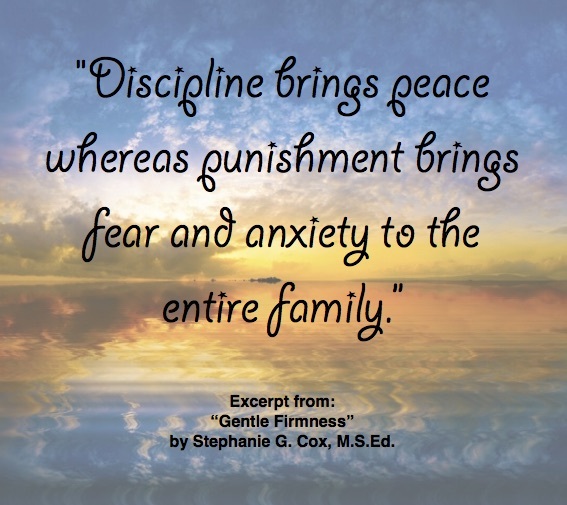 We need to remember that discipline means “to teach.” Discipline helps children learn to express their negative feelings appropriately, learn how to behave, learn empathy, learn limits, learn that there are consequences–both positive and negative– to their actions, and learn life skills. It takes much more work to discipline a child than to punish him/her. Discipline is long term whereas punishment is short term and has long term negative effects.